On Monday, the Maine House joined with the Senate and passed LD 652, legislation which abolishes the concealed carry permit requirement in the state. The measure passed the House Monday by a vote of 83 to 62 after passing the Senate by a vote of 23-12 on Friday. According to the Portland Press Herald, LD 652 would leave the permitting process in place for those who want one for the purposes of concealed carry reciprocity, but it would be eliminated as a prerequisite for carrying in the state for self-defense. Maine already has open carry without a permit, and state senator Eric Brakey (R-Auburn) put forward LD 652 so residents legally carrying in the open would not be criminalized when a jacket or other piece of clothing covered their gun. If the bill is signed by Gov. Paul LaPage (R), Maine will join Alaska, Arizona, Kansas, Vermont, and Wyoming, as states in which the Second Amendment is one’s carry permit. Montana is also on the list, only requiring a concealed carry permit within city limits within the state. 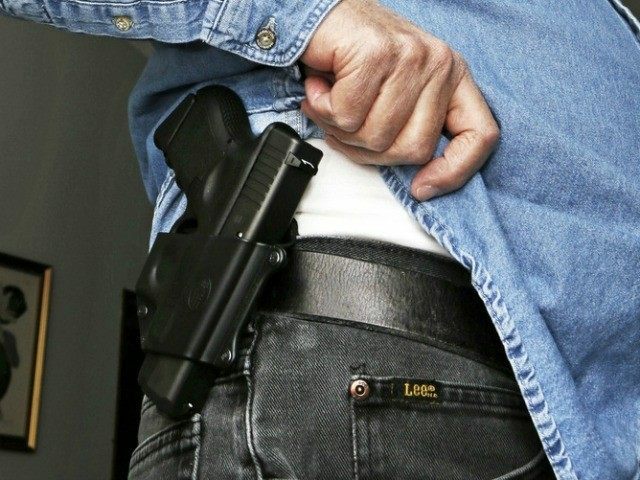 On April 9, Breitbart News reported that Maine State Police support rescinding the concealed carry permit requirement in the state. They pointed to the hassle of differentiating between when a gun is or isn’t concealed and said Maine would “be better off” without a concealed carry permit.